With an unobstructed view of the CN tower from the rooftop of the Rock ‘n Horse Saloon (@RocknHorseTO), The Porch (@ThePorchTO) is sure to be one of the hottest patios in the city this summer. 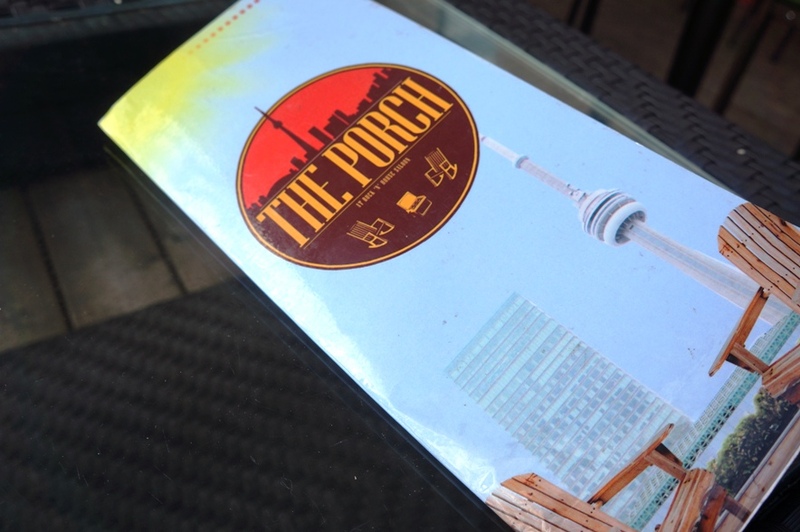 Located in the heart of the entertainment district, you’ll find the Porch at the very top of this new country destination. The Porch is open Monday to Saturday from 11am to 2am and on Sundays they host an event called Picnic on the Porch which features live music and a DJ from 11am to 5pm. 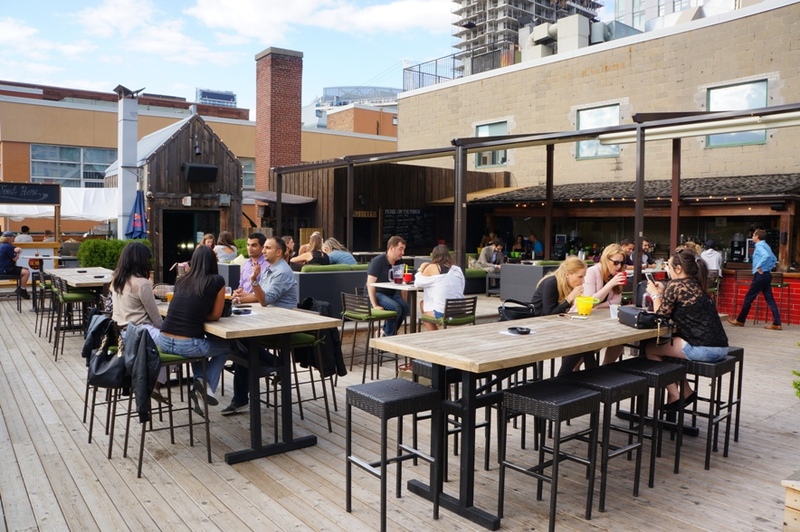 Mike and I dropped by after work last Wednesday and it was apparent that most people have already discovered this newly opened rooftop patio. Get here early to grab a good seat. 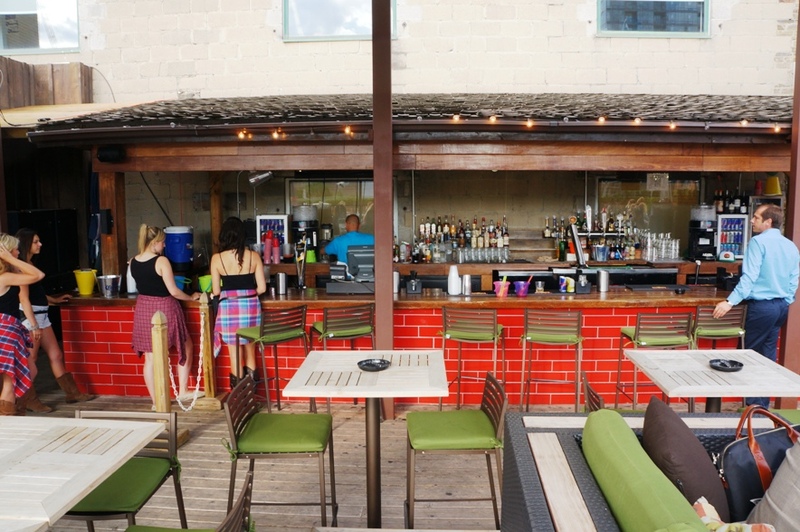 In addition to the usual suspects, the beverage menu includes giant margaritas (also available in pitchers), Porch Punch (aka sangria) and Jack & coke slushies. The food menu is broken into several sections: shared fare (including nachos and baked brie), fresh fare (salads), pizzas and “from the grill” (including an Angus chuck burger, wings and short ribs). 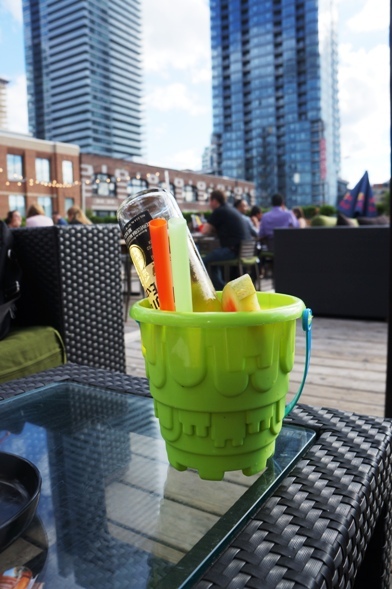 We started off with a Bulldog – a margarita with an upside down Corona. It’s the perfect drink for a hot day and I loved its fun presentation in a sandcastle pail. 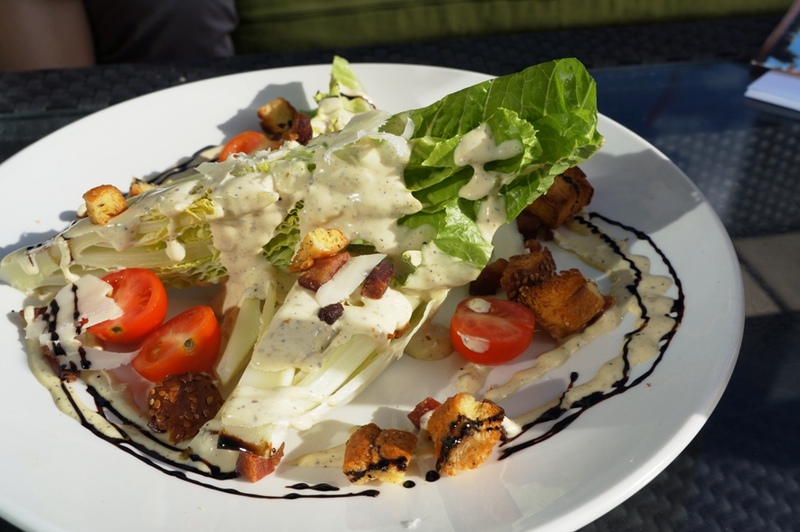 Food-wise, we shared a Caesar Salad – hearts of romaine, the usual suspects ($12). The salad was sprinkled with house-made lardons which really gave the salad a nice somethin’ somethin’. The caesar dressing with the light drizzles of balsamic was delicious. I also loved that every piece of romaine lettuce was lightly coated in dressing so every bite had just the right amount. 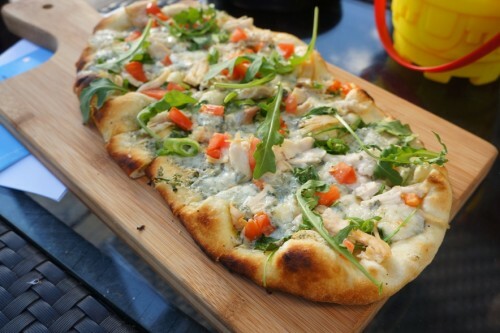 Up next was the Pulled Chicken Pizza – gorgonzola, arugula ($15). I’ll be honest, I’m not a huge fan of blue cheese but was pleasantly surprised to find that the gorgonzola wasn’t too overpowering. As for the chicken found on the pizza, it’s smoked in-house on their smoker. 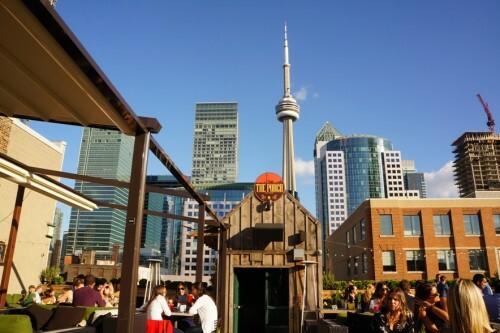 I love that they make so much of their food in-house – it’s definitely not your typical bar food. 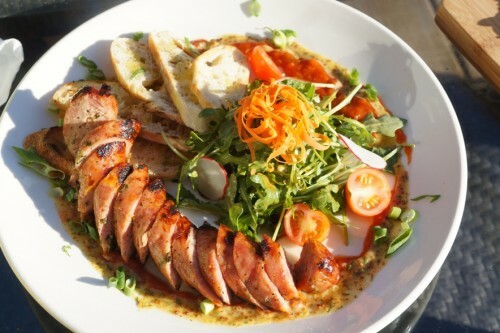 We finished off our meal with the Jalapeno Cheddar Sausage – spiced catsup, dill mustard, baguette ($15). I expected a simple sausage on a bun but they like to kick things up a notch at this bar. It was essentially a deconstructed sausage on a bun. The locally made sausage was delicious – packed full of cheese and heat! The dish also consisted of some house-made spicy ketchup and dill mustard which complemented the sausage nicely. With an incredible space and food that’ll put other bar food to shame, the Porch will no doubt be one of this summer’s hottest destinations.